Most business decisions are determined by money, whether its revenue generated or potential savings. 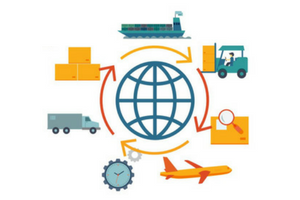 Due to increasing globalization in today’s markets, coupled with an unstable regulatory environment, global supply chains are becoming more complex than ever before. This has increased the difficulty of simple day-to-day operations, let alone optimizing costs. The current influx of multiple transportation routes and carriers, updated government regulations, and several other factors will continue to bring hardship unless a strong value chain is obtained. It is both risky and time-consuming to manage a growing supply chain with either manual or hybrid processes. Secure your competitive advantage in this ever-changing era of regulatory changes –learn how a digital supply chain platform enables agility, reduces risk, and ultimately improves margins. Stay ahead of the game by digitizing your supply chain. Need more information on decreasing costs and optimizing operations? Check out our eBook, Generating Cost Reductions!